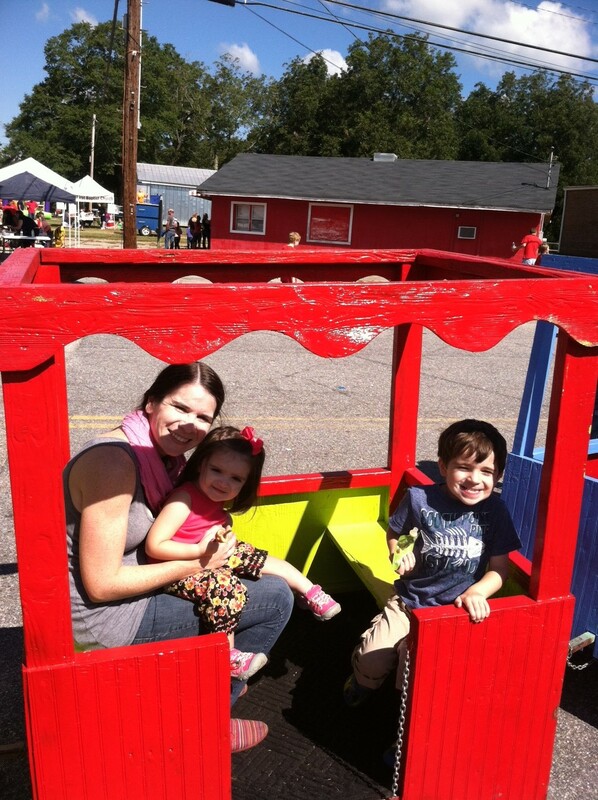 …let Tom show us his future car at a fall festival. 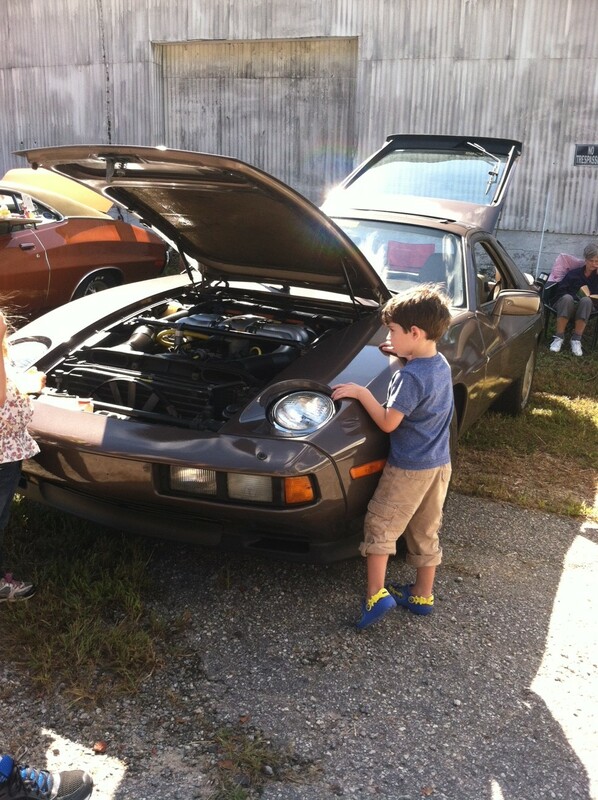 There were lots of old, vintage, cool-looking cars there, but this was his favorite. 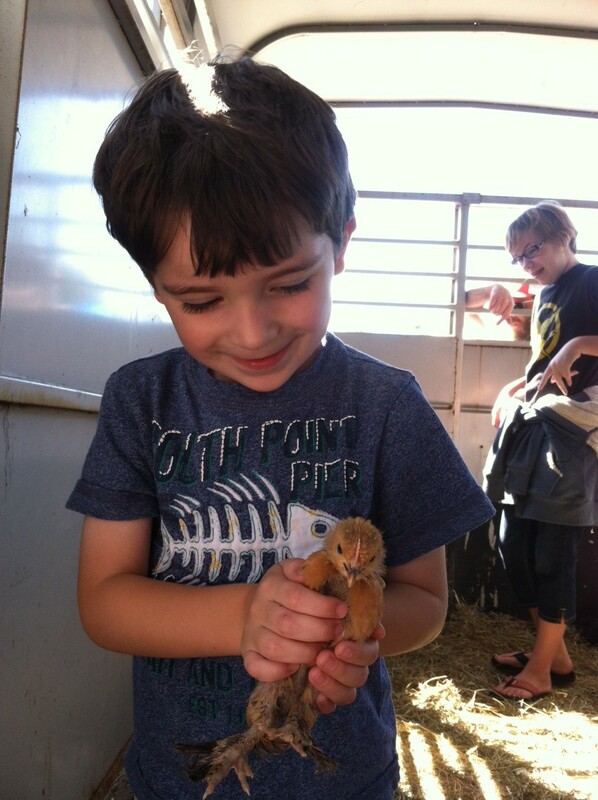 …saw Tom’s love of chickens continue. When we got home, he told me he wanted a pet. 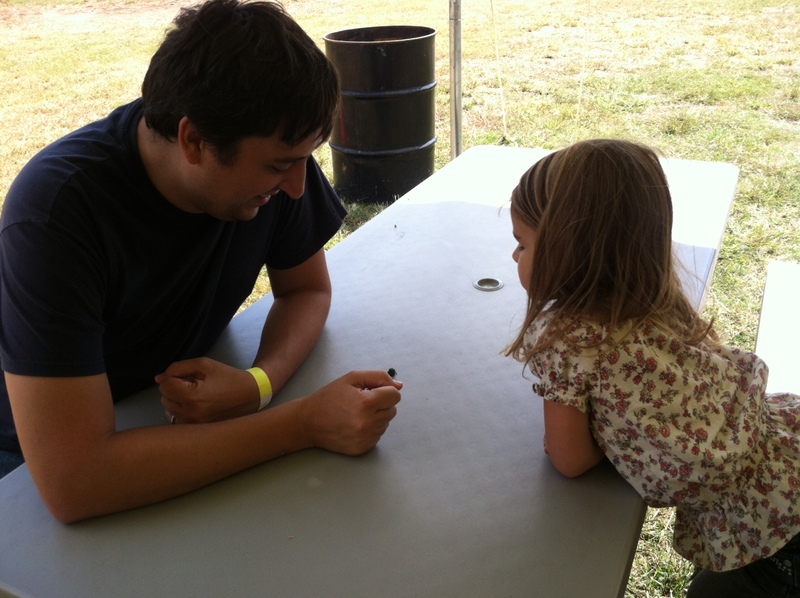 I told him he had Huck. 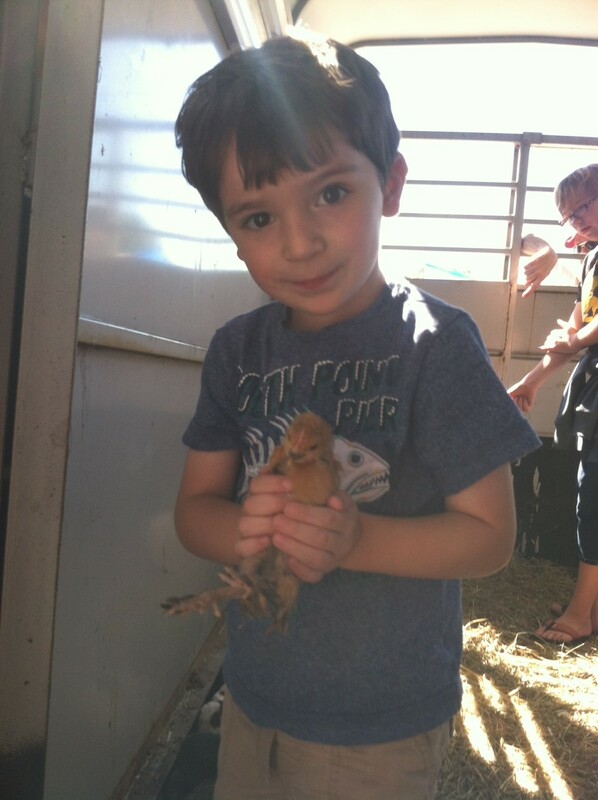 “No, I want a chicken!” Little chicken farmer. 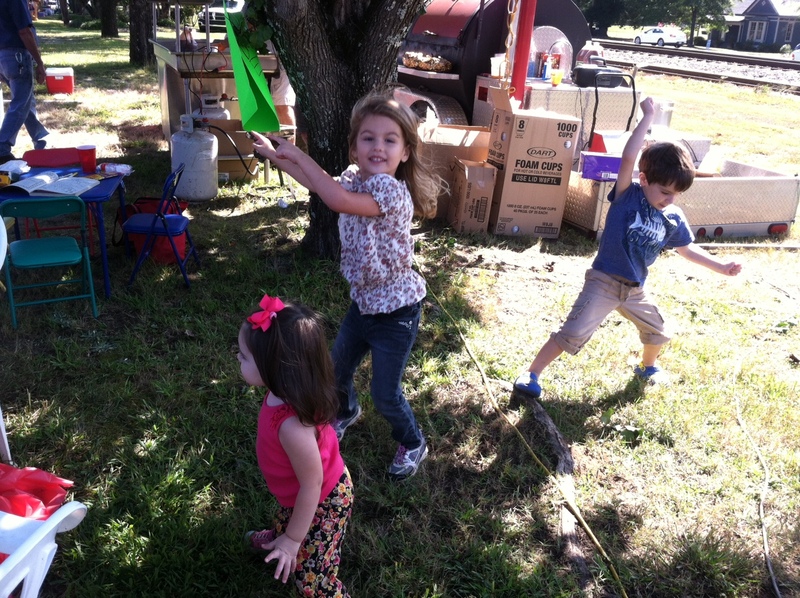 …had a dance party! See previous post for video. 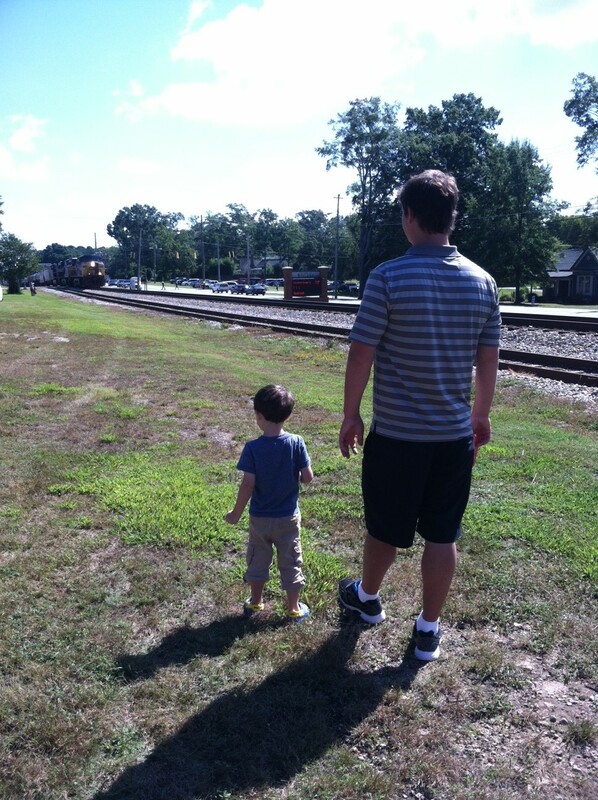 …watched a BIG TRAIN come by with Uncle Adam. Tom loved it! 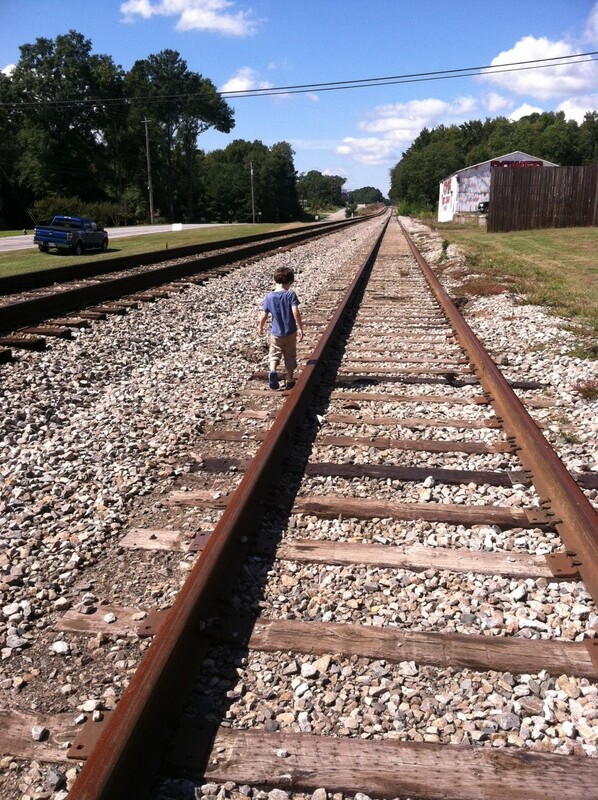 …rode on a little train! 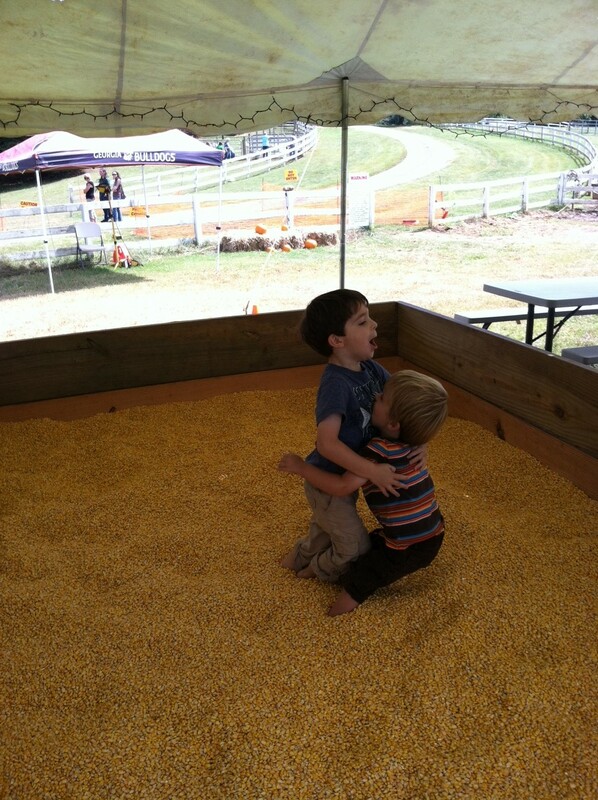 …hung out in the corn box. And for Tom, he “hung out” in it for over an hour. LOVED. 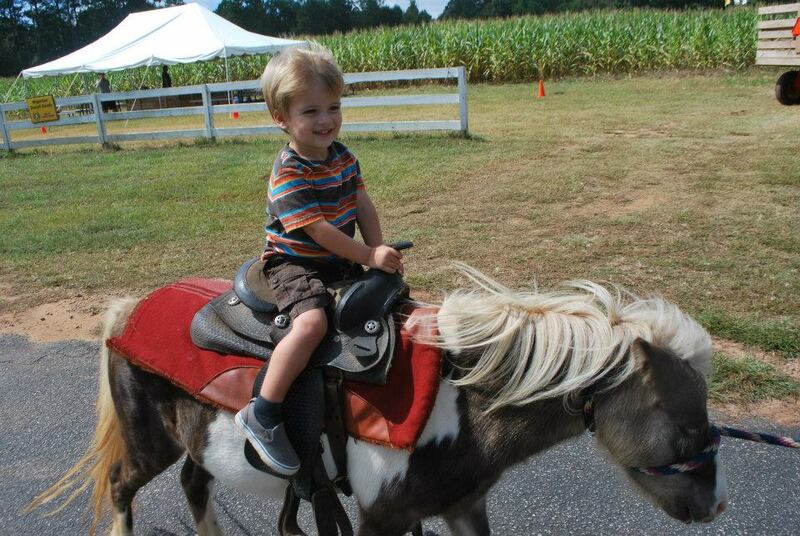 …watched our nephew, Gus, be a big boy on a little pony! 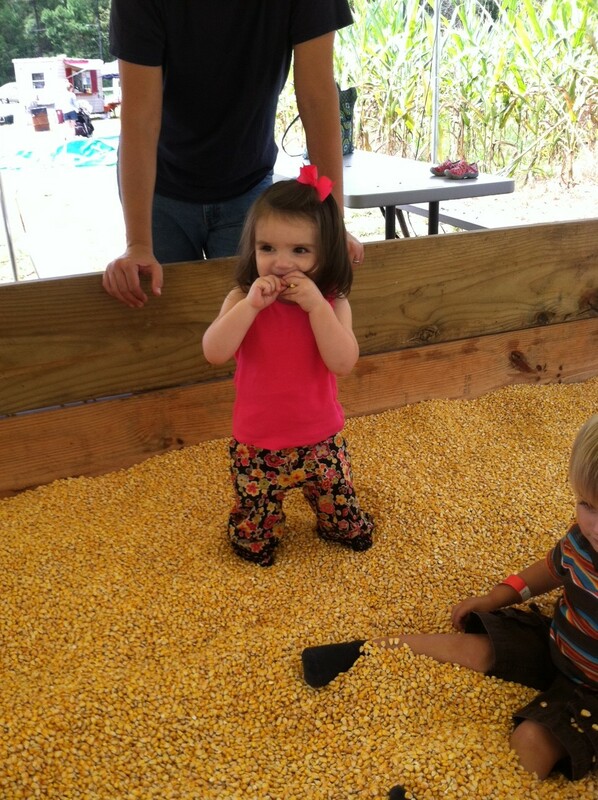 …went on a hay ride! 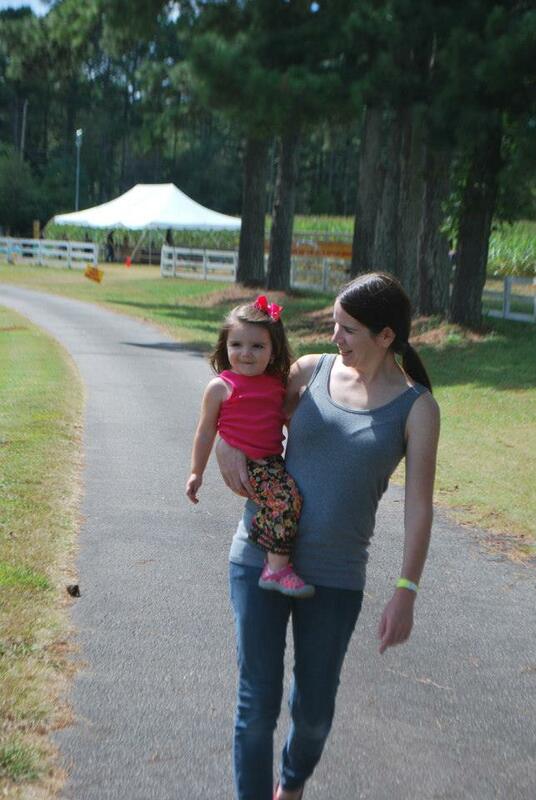 …went on a walk to check out all the animals. Alice loved the baby cows best. …checked out a cool beetle. 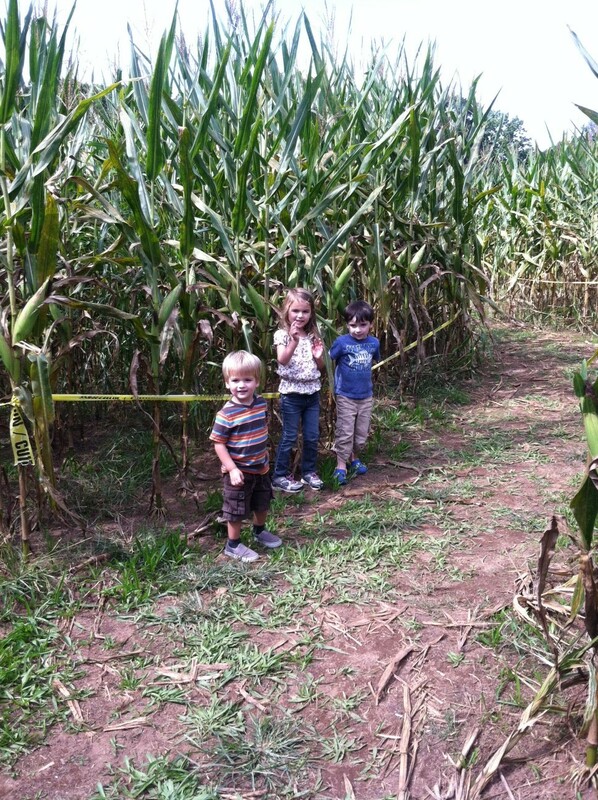 …pretended to be scarecrows in the corn maze. 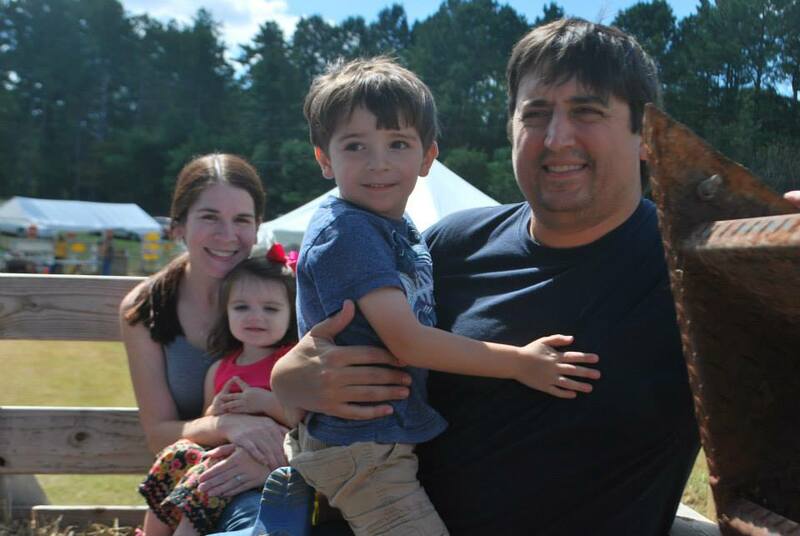 …took a great picture on the hay ride that Mommy is going to frame. 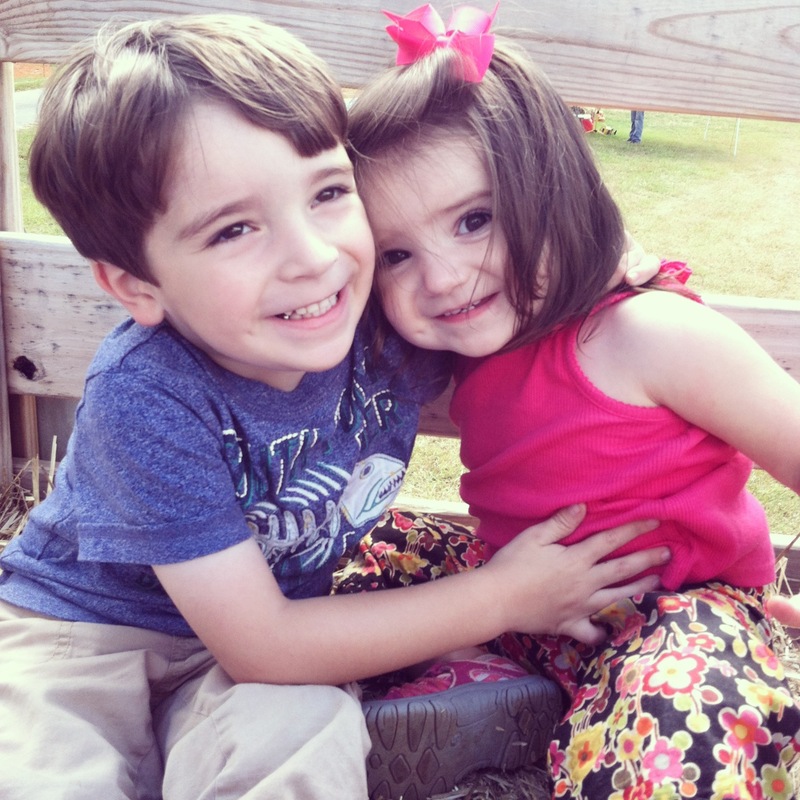 Oh you do need to frame that last one – so cute. 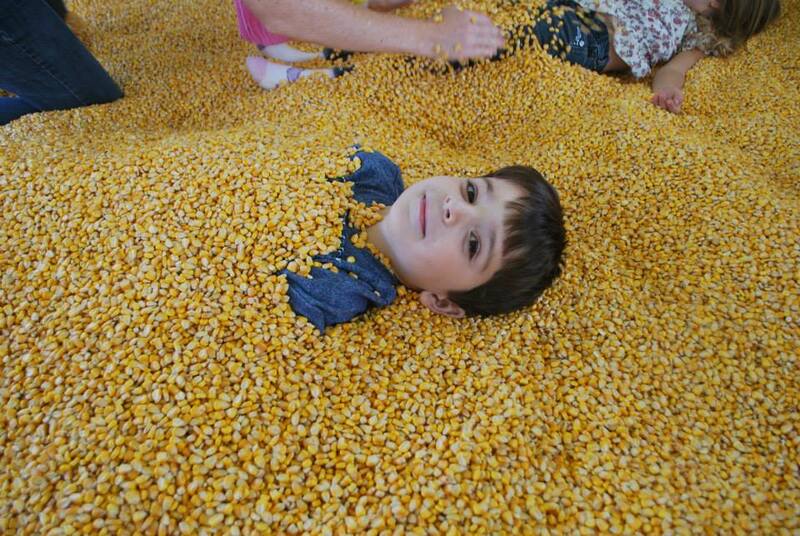 I love Tom lying in corn. Ha!